Cast away yet connected. Natural yet designed. Secluded yet welcoming. W Maldives is a luxury private island resort, where style flirts with soul in a wonderland of white-sand beaches, turquoise lagoons and breathtaking reefs.Pamper yourself with lavish Maldivian living. Discover true pampering at the overwater AWAY® Spa. Go gourmet at our six eateries and bars. Bask in the sun on the escape’s beaches, partake in adrenaline-filled water sports, or explore the island’s private reef, declared one of the best house reef in the Maldives. While the W brand&apos;s promised service to guests transforms the ordinary into an extraordinary. Whatever you want. Wherever you want it. W Maldives &apos;Let it Glow&apos; theme is inspired by the glow in the dark jellyfish and luminous plankton that can be spotted in the shores of the private island resort. This design theme reflects the brand&apos;s contemporary aesthetics inspired by the island&apos;s stylish and playful yet stunning surroundings. Steal away to our private island and dream up adventures of your own. Have your own secluded island for a few hours for a picnic or do a full day or overnight under the stars, for a real magical Robinson Crusoe experience. Enter into this beautiful world with direct access from your water BUNGALOW and spot exotic fishes, reef sharks, turtles and even eagle rays. Enter into this beautiful world with direct access from your water Villa and spot exotic fishes, reef sharks, turtles and even eagle rays. Relax on ESCAPE, our two-mast 80-foot sailing yacht with two luxury cabins, lounge and stunning deck. 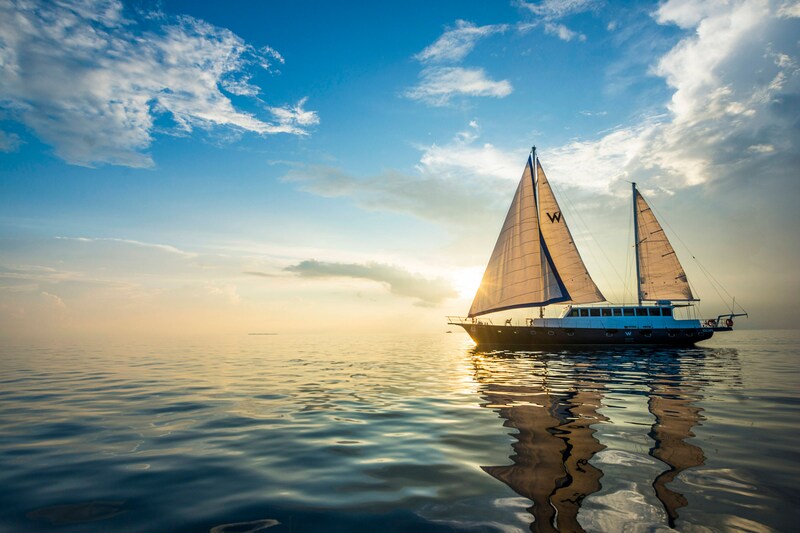 Sail off into the sunset on the most romantic nautical getaway or go on a private overnight cruise on ESCAPE. Escape to the W Maldives for a Detox Retox and Repeat Experience. 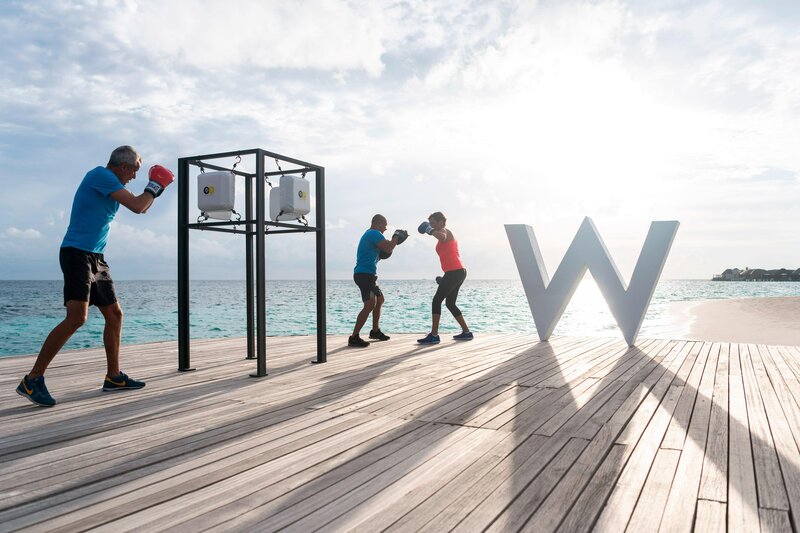 Energize yourself with sunrise yoga at our private island, boxing on the beach with our W fitness coach, followed by our HEAT WAVE Pool Party. Enjoy an indulging spa experience at our AWAY Spa or join our ENERGY team for sunset boxing classes at Fire Beach. 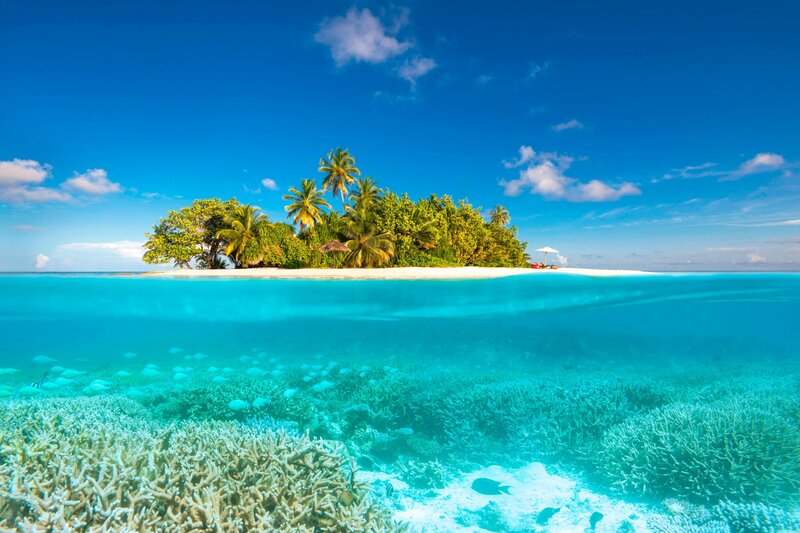 Cast away in the turquoise waters of the Indian Ocean, W Maldives lies delicately in the pristine beauty of Fesdu Island. With perfect weather and endless sunshine, W Maldives is an idyllic water sports playground. Beneath the surface manta rays mingle with sea turtles and starfish pose for pictures.